Very slight damage to paper above hair line. 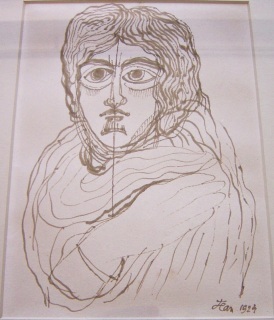 The works of Jean Cocteau are increasing in value substantially. A friend of Picasso his works are becoming very sought after. This could be a very serious investment. 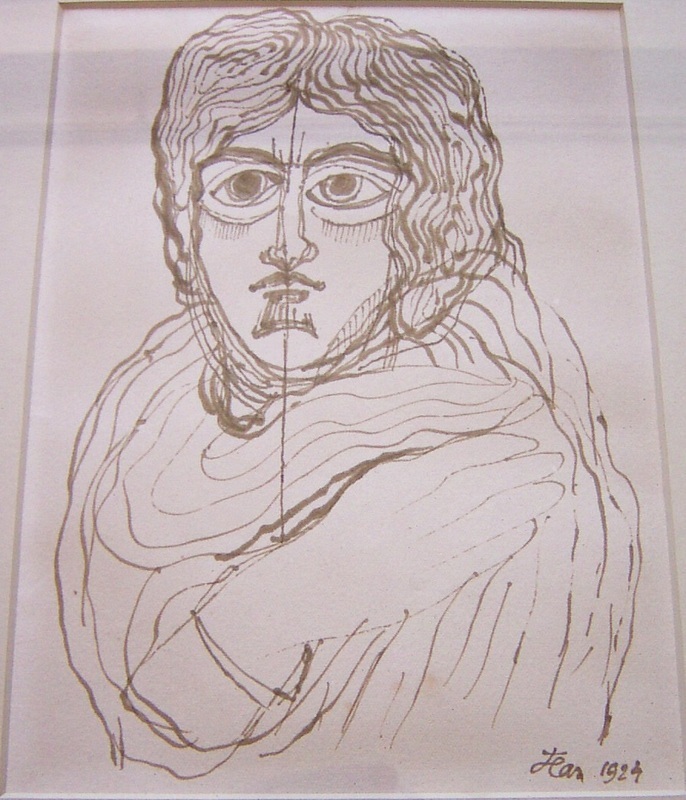 Cocteau was an artist and writer, who made his name widely known in poetry, fiction, film, ballet, painting, and opera. Jean Cocteau's works reflect the influence of surrealism, psychoanalysis, cubism, Catholic Religion; occasionally they were opium influenced. In his time Cocteau was a promoter of avant-garde styles and fashions. His friends included such prominent figures as Pablo Picasso, the composer Erik Satie, the writer Marcel Proust, and the Russian director Serge Diaghilev.